2017 Holiday Guide: Shop LOCAL! We're last minute shoppers, it's terrible, we know. There's just something about that deadline creeping up that really puts us into action. So this year we're getting ahead and starting our shopping in November (super early, we know)! Give the gift of Art! 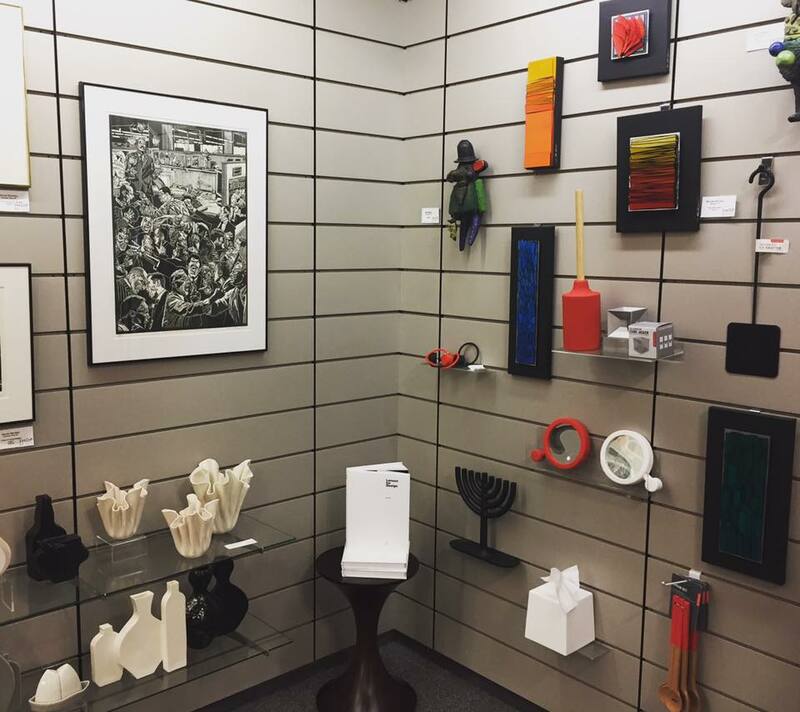 For those art lovers in your life peruse the gift shops of local galleries or museums like the George Eastman Museum or the Memorial Art Gallery. They are full of unique treasures you often won't find anywhere else. Know someone who will want to adore the art itself over and over? Buy a membership so they can keep going back throughout the year. Giving gifts to younger ones? Head to the Rochester Museum & Science Center, The Strong Museum of Play or the Seneca Park Zoo. And don't forget those theater lovers! Consider subscriptions to one of our many theaters like Geva Theatre or Blackfriars Theatre. Skip the big box stores and head to the small mom n'pop shops. Look for gifts at places like Abode Rochester, Stacy K Floral, AXOM Objects, More Fire Glass Studio and the Hub by Archimage. Even Peppermint and Fahsye have a great selections of local Rochester goodies! We're life-long learners, we love to read, take classes and attend events where we'll walk away having learned something and been inspired. Give the gift of knowledge through gift cards and classes from Rochester Brainery, the Creative Workshop at the Memorial Art Gallery, Studio 34 Creative Arts Center & Gallery, Little Button Craft, or the Flower City Arts Center. Before you head to the mall or Target, stop at Archimage, Peppermint, Fahsye, or the new Statement Boutique on Park Ave. Shopping for an active friend? Try Fleet Feet, Rochester Running Co. or Rochester Parkour. And don't forget about stores like Little Button Craft, Zak's Avenue and Parkleigh, you never know what great (and random!) gifts you'll find. Lastly, as much as we love that super thought-out perfect gift, we're also fans of gift cards! Do you have a favorite place you think your friend or family member needs to try, what better way to get them to go than with a giftcard? The list could be endless: McCann's, TRATA, Rocco, The Owl House, The Red Fern, Bitter Honey, Fiorella, all the Coffee Shops, The Little Theatre, all the theaters, and actually any of the places we've already listed in this post! Whatever you may be shopping for, give city businesses a chance and shop local.